When it comes to your baby’s room, you want to make it as nurturing and comfortable as possible. Your baby is going to spend a lot of time sleeping in the room during the first few months, so it’s important to make sure this room is a loving environment. Here are some do-it-yourself projects that you might enjoy to put your personal touch on the room. Use chalkboard paint to cover any surface of the dresser (or any piece of furniture, really) that you like. Not only does this give your child another place to safely doodle and be creative, but it gives you a great way to keep the room organized. The ABCs are a staple of childhood. They’re usually one of the first songs and lessons a child learns. Plus, it’s good to familiarize your child with writing later on so they readily accept reading lessons. Simply pick up some wooden letters from your local craft store and wrap them with colored yarn to give them a softer appeal. This is a fun way to really personalize your baby’s room. All you have to do is print out a letter in a font you enjoy on a piece of paper. Arrange the crayons over the letter and cut them with a knife to the proper fit, then glue them to the paper. Frame and hang. This is a super simple project. First, find several pages in a storybook that have some meaning. These are usually the end pages that offer a moral or lesson. (I Love You More is a great book because each page states something the narrator loves. Goodnight Moon is a good one too.) Slice the page out of the book and center within a frame. Secure the page with tape. Most families record a child’s growth (by height) somewhere in the home, usually in a doorway. Using a long piece of wood and some wooden letters, decorate something a little more special. Figure out how you’re going to hang it before you add the height marks. You’ll want the bottom of the chart to start around three feet. I like this because it doesn’t take a lot of artistic talent, but it looks like it does. Use it to add some color to a room, break up large walls, and give baby something fun to look at. You’ll need wooden circles, paint, a few dowels, and tape (to make straight lines while painting). This year Daylight Saving Time ends on November 2nd at 2:00 am and the clocks will turn back one hour. People usually love getting that extra hour to sleep in, but many parents don’t get that luxury because their children are still used to the pre-time change schedule. However, there are tips out there for parents to prepare their children for the time change and make the transition a little bit smoother. 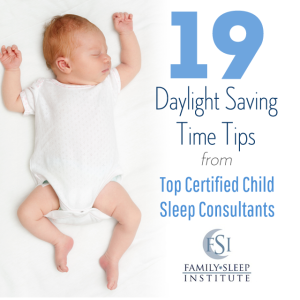 Here are some tips by the graduates (U.S. and Canada) of our top rated child sleep consultant certification program to help you survive the Daylight Saving Time fall back. Take steps the week before the clocks fall back to begin shifting your child’s schedules. Starting on or about October 25 and adjusting every two days, start moving your child’s schedule later by 15 minutes. Start early and write it out! Having a written plan of action can help you see where you’re going and be more accountable. Begin a week prior to daylight saving and adjust your child’s sleep schedule in fifteen-minute intervals. Writing the new nap and bedtimes down for each day leaves little room for error, making the transition even smoother. If you have a child who is particularly sleep sensitive or who tends to wake early, prepare your child ahead of time by moving their schedule in 15 minute increments about 4 days before the time change occurs. Push naps, meals, bedtimes, and wake times later by 15 minutes every day. When we turn the clocks back, your child’s schedule will be at the new time. If your child is older and adjusts well, you can wait until the day of the time change and just shift everything to the new times on November 2nd. Remember that adjusting tends to take a few days to a week, so be consistent with your child’s routine and schedule during this time and try not to stress about it. It’s important to keep your child’s current sleep health in mind in preparation for Daylight Saving Time. For example, if he’s carrying around a sleep debt, moving all sleep periods back by 15-30 minutes a week or two before the time change will help him catch up and handle the missing hour with ease. Although this sounds counter-intuitive, earlier sleep periods result in more restorative, deeper sleep and will quickly move the child into the healthy sleeper category. An already overtired child will only become more so, and the transition will take longer without taking this important step. For a well-rested child, push all sleep periods forward by 15-30 minutes 4-5 days before the time change so that he will be able to slide into the new schedule without much effort. Don’t make the mistake of going into it unprepared! Know where your child is on the “sleepy spectrum” so that the transition doesn’t make matters worse! Starting as early as a week before, begin changing your child’s eating and sleeping schedule by 15 minutes every other day. Then by the time you actually put your clocks back, you are ahead of the game. Your child will have already transitioned smoothly to this new time. BE PATIENT!! Whether you decide to ease your child into the time change (adjusting bedtime later by 15 minutes every couple of days) or make the abrupt change on November 2nd, you need to have patience with your child. They might be getting up a little too early for your liking (blackout shades can help) or be a bit cranky due to some missed sleep. Just remember that any change in routine can take a week or 2 for your child to adjust. In the mean time, get outside and enjoy the daylight (it can be a great distraction as well as help set their sleep rhythms). This is the toughest time change but it only means that the fun Fall and Winter Festivities are near.Be patient and enjoy! To adjust your child’s sleep routine for Daylight Saving Time, it is important to start the transition a week in advance. Start by moving daily routines fifteen minutes ahead every two days. For example, if snack time is normally at 10am, serve your little one a snack at 10:15. If bath time starts at 6:30, move it ahead to 6:45. Keep adjusting the schedule until you reach your child’s new bedtime once Daylight Saving begins. It is also best to make sure you are well rested the week before this big time adjustment so it’s a smoother transition on the body. In order help your little one to adjust to DLS, I recommend sticking to your usual schedule. You will be adjusting everything in your daily life, including your schedule for work, meals and play, to the new time- your child’s sleep schedule is no different. If naptime was at 9am before DLS then it will be 9am after DLS. During this time, make an extra effort to keep a regular schedule. Cues within your daily routines will help your child know what to expect. If your child always take a bath, read stories then goes to bed, his body will unwind in response to the particular activities leading to bedtime. He should go to bed easily regardless of the time. Just as it may take you a few days to adjust to the new times, you can expect that it will take a few days for your child’s sleep to regulate as his internal clock resets. A consistent and patient approach is your key to success. Go with the flow. Come Sunday, adjust the entire day to the new time including naps, bedtime, and meals. Start the transition several days before the end of DST by shifting the day (naps, bedtime, and meals) later by 15 minutes. Each day, shift an additional 15 minutes. The “fall back” component of DST may be 2 days after Halloween, but don’t let it leave you and your kids feeling like zombies. Why is this time change scary for some parents? Because children who were previously waking at 6:30am will now be waking at 5:30am post time change if left to their own devices. Fear not: with simple prep work, your family can adjust with ease. Start several days ahead of the change by keeping lights dim or off for an extra 30-60 minutes in the morning, using only the natural light coming in your windows. In the afternoon expose your child to as much sunlight as possible and in the evening keep the lights on and bright all the way till bedtime. As our internal clocks are set by cues from light and dark, this simple “light therapy” will help to give our clocks a jump-start. Since we will be pushing mealtime and bedtimes 15 minutes later every 3 days, our kiddies will be tired. To help them adjust easier to this time, fresh air and sunlight is a huge plus because the light resets our internal sleepy clock. If it’s too chilly outside, you may use your indoor lighting to your advantage and turn on the lights in your home where the child is during their waking hour for this transition. Our bodies sleep system (circadian rhythm) works off light and dark. When our environment is lit up, it keeps us awake. When it’s dim or dark, we get relaxed and ready for sleeping. Do the DST change at your house all at once a day early on Saturday morning! If making a gradual change isn’t an option or just seems like too much trouble, try changing the clocks at home before you go to bed on Friday night, and use the new time on the clock as you go about your day on Saturday. This will give everyone in your family an extra day to adjust before Monday comes around. Just remember that sports practice, birthday parties, and other Saturday plans outside of the house will still be on “outside” time! Three days before the time change shift your child’s nap and bedtime back by 20 minutes. Then by the time Sunday comes around, it won’t be a huge change. If your child wakes early that Sunday morning, try and keep them in dim lighting for the first hour after they wake, to help their body clock reset. If you have a toddler, a tot clock can be very helpful in letting them know when it is okay to get up for the day. Parents Need Tips Too – It’s important to understand that these time changes don’t only affect our children. It can also be a tough adjustment for us parents. Where we go wrong in the Fall is that we use the “extra hour” as an excuse to stay up later and sleep in more in the morning. The best route to take is to stick to your same routine. To help adjust your own body clock go to bed at the same time each night (even though it will be darker earlier) and wake up at the same time in the morning. It shouldn’t take longer than a week for you to adapt. Please DO NOT skip or shorten your child’s afternoon nap in hopes she will get tired earlier than normal for bedtime. If you start about 1 week ahead and gradually move the bedtime and naptime back in 15-minute increments for a few days at a time, then your little one will be right on schedule and you can enjoy that 1-hour of extra sleep when the clocks actually change! Be sure to use black out shades in windows to keep the bedroom dark in the morning. If your little one wakes an hour earlier than the clock says they should, keep your normal daily schedule with usual nap times and bedtime. 1. Plan a few days ahead – Prepare a few days in advance by moving your child’s daytime schedule later in 15 minute increments. 2. Block the morning light – Ensure your child’s bedroom is really dark and use some room darkening curtains to block the new early morning light. 3. Avoid rushing in – If your child does wake earlier than normal, leave them to amuse themselves until the normal wake up time to give their internal clocks a chance to reset. 4. Expose them to plenty of daylight – Expose your child to plenty of light on Sunday, especially in the morning, to help their internal clock adjust to the new time. 5. Earlier bedtime to catch up – If your child has lost some sleep due to the time change, plan for an earlier bedtime to catch up. It’s important to recognize that a child will wake up extra early (before 5:30am) if they’re overtired. With the time change coming, this early waking can be magnified and wreak havoc on a child’s routine. In order to minimize extra-early risings during the first few weeks of the time change, make sure that your child is well-rested *before* the clocks move back. This means restorative naps every day and an age appropriate bedtime between 6-7:30pm for children under 4, for at least two weeks before Daylight Saving Time ends. 1. Start early: It is best to be prepared and start adjusting a week out. Consider shifting your child’s entire schedule 10 minutes later each day for a week. 2. Follow a routine: Children cannot read a clock so your routine is how they know what time it is. Follow your complete daily routine on the new adjusted schedule. 3. Adjust sleep times earlier: You will need to adjust to an earlier bedtime gradually. You may find your child’s usual 6:30am wake up is now 5:30am on the morning after the time change and for a few days following. You will want to compensate with an earlier nap and bedtime schedule and continue to stick to your consistent routine until your kid’s internal clock adjusts. 4. All children are unique: Remember that every child is different and they will adjust differently to changes in their sleep schedule. 5. Also keep in mind that the start and end of daylight saving time are good reminders to get caught up on safety measures around the house, such as changing the batteries in your smoke detectors and cleaning out your medicine cabinets. The Family Sleep Institute is the very first comprehensive yet affordable child sleep consultant certification program based on 15 years of experience by the leading Child Sleep Expert, Deborah Pedrick. The Family Sleep Institute lives up to its name as it is truly a “family” to all graduates who go through the program. FSI instructs, mentors and certifies Child Sleep Consultants around the world. Play time is an important part of growing up. In today’s busy world, we sometimes forget that for little minds, play is learning. If we want to give our children the best life we can, the first years have to involve lots of play, alone and with others. Here are some ways you can stimulate creative play. 1. Make time for play. Play shouldn’t be something your kids do between errands, school, and chores. It’s an important part of growing up and you should make sure they have ample free time to get to it. They don’t need packed schedules and direct stimulation; they need to explore the world in their own way. 2. Eliminate some after school programs. Many parents think they need to cram as much as they can into their kids’ day to boost their development. This often backfires. The kids are exhausted and bored, so they don’t pay attention and disregard whatever they’re being taught. These parents have good intentions, but they likely aren’t helping. A few extra-curricular activities are good, but leave time for free time. When your kids (babies and toddlers) in strong, developmentally beneficial play, you’re going to have an untidy home. They’ll pick up and discard toys as their game requires. Don’t chase them around, cleaning up their mess. The goal is to let your child’s mind wander and take her where it will. In fact, dive into the game with her! Board games and arts-and-crafts are fun, but they don’t offer many developmental advantages. These can only be played with in a certain way, so your child doesn’t have the opportunity to use his or her imagination. Stock your playroom with dress up costumes, blocks, dolls, toy cars/trucks, and anything else that can be played with in many ways. 5. Start the imaginative game yourself. If your kids are struggling to come up with something to play, dive in yourself. Recruit them to help you explore an alien planet, invite them to your tea party, or enlist them in your army to slay the dragon. Your kids will quickly follow. 6. Tune off the TV. The television is easy entertainment. It’s pleasing and doesn’t require any work on your child’s part. As the stories are laid out, each character and plot become more predictable and less imaginative. Switch off the TV and (if you can) hide it in a cabinet. TV has its uses, but it shouldn’t be the primary mode of entertainment for young minds. 7. Invite other children to play time. Your children will, over time, fall into patterns when they play with each other. One is the hero, the other is the sidekick. One is the good guy, the other is the bad guy. These routines don’t give them a chance to explore other perspectives and build empathy. By tossing some kids into the mix, you shake up their routine and get their brains working. Don’t schedule arts and crafts or plan out the activities, just let play time happen. Jennifer Jacobellis started Baby J when her son was just a few months old. She ventured out to mommy and me classes and play groups, armed with just a blanket for him to lie on. After class, she would fold up her blanket and stick it in the diaper bag, knowing that when she got home it would have to go straight into the laundry basket. There had to be a better way! One day she decided it was time to solve this problem. She ran to the fabric store and began tinkering. She designed this baby play mat with her germ-a-phobe tendencies in mind, as well as being soft, baby friendly, and chic. The Baby J play mat was born! October is SIDS Awareness Month and parents are encouraged to learn more about the risk factors involved in SIDS and what steps they can take to prevent it. SIDS is defined as the death of an infant, less than 1 year of age that occurs suddenly and unexpectedly and cannot be explained after a thorough investigation is conducted. Scientists have learned a great deal about SIDS over the last years and SIDS cases have decreased drastically, but there are still over 4,000 kids that die unexpectedly each year with no known cause. The leading theory is that SIDS affects babies with an undetected condition (such as a respiratory or heart vulnerability) combined with an environmental stressor (such as an obstructed airway). Babies born prematurely, have a young mother (under 20 years old), or experience a life-threatening event early in life are at a higher risk for SIDS. There’s no way to prevent SIDS entirely, but you can work to make your baby’s chances of avoiding the syndrome as low as possible. When parents better understand the risks involved with SIDS, this can help to reduce future infant deaths. Here are five tips on how to help reduce the risk of SIDS along with how to make sure you are swaddling baby correctly and safely. 1. Always place baby on his back to sleep. Many studies have found that there is a higher incidence of SIDS among babies who are placed to sleep on their stomachs. It is thought that sleeping on the stomach narrows the baby’s airway and causes difficulty breathing. There is also a possibility that an infant sleeping on his stomach is “rebreathing” his own exhaled carbon dioxide. Baby must be put to sleep on his back throughout the first year of life. Swaddling helps baby sleep on their backs and helps prevent sleep-deprived parents from placing baby on their stomach to sleep. 2. Keep baby’s crib clear of blankets and toys. You never want to put blankets, comforters, bumpers, stuffed toys or pillows anywhere near the baby while he is sleeping. Baby’s head and face must remain free of any blankets or coverings. If using a blanket, make sure it gets tucked around the mattress but a tight fitted sheet is best. By keeping the crib clear it can prevent rebreathing and suffocation. Bumper pads should also be avoided as they can be a potential risk of suffocation or strangulation. A Pediatrics study suggests that babies who are swaddled experience a more restful sleep than unswaddled babies and can awaken more easily in response to noise, potentially decreasing the risk of SIDS. Use a swaddle where baby can have good hip range of motion; swaddling too tightly can cause hip dysplasia. The preferred sleeping position for babies is the “hands over heart” position; use a swaddle that does not pin baby’s arms to the side. Babies (and especially babies with colic) can self-sooth and settle by using their hands and fingers in the natural “hands to heart” position just like babies do in the womb. Use a swaddle that will not unravel- this prevents blankets from becoming lose and covering baby’s face. There are swaddles that do not even require wrapping! When baby begins to roll, it’s no longer safe to swaddle. To transition baby to arms-free sleep, take one arm out of the swaddle at nap time and then when baby is used to it, try it at night time. Take out the other arm and remove the swaddle completely gradually. 4. Keep baby at a comfortable temperature. You don’t want baby to get too warm while sleeping so it’s best to keep them somewhere that’s room-temperature and don’t excessively clothe them. It has been suggested that babies who get too warm go into a deeper sleep making it more difficult for them to awaken. KidsHealth.org suggests keep the room at a temperature that feels comfortable for an adult in a short-sleeve shirt. 5. Place baby on a firm sleep surface. According to the National Institute of Child Health and Human Development, SIDS is sometimes called “crib death” and while cribs themselves don’t cause SIDS, the baby’s sleep environment can influence sleep-related causes of deaths. It’s important to use a safety-approved, firm mattress covered with a fitted sheet and avoid placing baby on a pillow, waterbed, couch, chair or other soft surface. This can help prevent smothering or suffocation. You can check the safety of your baby’s mattress or crib by contacting the Consumer Product Safety Commission at www.cpsc.gov. While the exact cause of SIDS remains a mystery, we’re closing in on a solution. The number of SIDS deaths has declined by 50% since 1990, but more work is needed. You can help by donating to the American SIDS Institute and helping us share these tips. Walt Disney World is the epitome of imagination in every way possible. Ranging from its vast array of fictional cartoon characters to the seemingly, never-ending theme parks, made up of attractions you could only think of in dreams. Disney is the perfect place for a child to begin the creative process and start to develop a mind full of great ideas. Also, finding a place for your family to be together during this trip is even more effective! Try to find the best Florida vacation home rental deals to make this all possible. It can be as small as wooden blocks and LEGOs, or as big as a makeshift fort or treehouse; the benefits of teaching your child how to build different structures are extremely valuable to their development. A child learning that a tower of blocks collapses without necessary support helps children develop spatial skills. Piecing together a toy part by part to build different items improves hand-eye coordination and motor skills. Playing with construction toys is important to a kid’s cognitive thinking skills. It may seem like it’s all a game to your child, but they are taking away a lot more from these activities. Has your child ever asked you where all their great-tasting food is coming from? Instead of simply telling them how you made it, show them! Cooking with your kid is not only valuable family bonding time, but it serves as a helpful learning tool for their growing minds. Cooking involves a bunch of different hidden math skills including, fractions (1/2 cup of milk), temperatures (boiling points), and even geometry (12 x 8 pan). Also, since cooking usually involves recipes, your children will develop their reading skills and get better at following directions. Finally, once a dish is successfully prepared, your child will get a self esteem boost for being able to cook their own food! Look no further for vacation home rentals near Disney in Florida! Florida Sunshine Vacation Rentals has thirty years experience providing guests with the best Florida dream vacation experiences possible, as well as a level of customer service that exceeds exceptions. They’re based in Orlando with a satellite office in the United Kingdom, so they know how to provide superior service to domestic and European guests. Feel free to call upon their expert team to provide you with a smooth booking experience for your vacation rental home, condo, villa or townhouse in Orlando, Florida, discount vacation home rentals, or other Florida destinations. We will help you do all of the planning so you and yours can start making memories! For more information visit www.floridasunshinevacationrentals.com. Interested in writing a guest blog for Florida Sunshine Vacation Rentals? Send your topic idea to steve1@floridasunshinevacationrentals.com. All data and information provided on this site is for informational purposes only. Florida Sunshine Vacation Rentals makes no representations as to accuracy, completeness, current-ness, suitability, or validity of any information on this site and will not be liable for any errors, omissions, or delays in this information or any losses, injuries, or damages arising from its display or use. All information is provided on an as-is basis. Fall is a lovely time to host a get-together or party. Hopefully your family has some birthdays or baby showers planned for this season. If not, Halloween is right around the corner and the perfect excuse for a party. Desserts are fun to make, but I like to keep them relatively simple (nothing gourmet or over-the-top fancy) so that my kids can help out. Here are some fall desserts that your friends will love and your kids can help you make. Caramel apples are a great fall treat because they’re far different than the typical cakes and cookies we usually eat. Since apples are in season, you should have no trouble picking up some delicious specimens. You could even pick them yourself if you were so inclined. This recipe calls for a bit of candy and pecans. Who says candy corn has to be small? Using colored Candy Melts, decorate cereal treats to look just like the traditional Halloween Candy. Simply make old fashioned Rice Crispy treats and drizzle them with melted candy. Every Halloween party needs a ghost! These cute little cupcakes are sure to be a conversation starter. They also look a lot more complicated than they are, which will impress your guests. Simply cover melted candy over a brownie pop and place on top of a cupcake. I’ll admit, these are a bit spooky! You might have a hard time convincing your kids to eat a finger, but they’re definitely tasty. 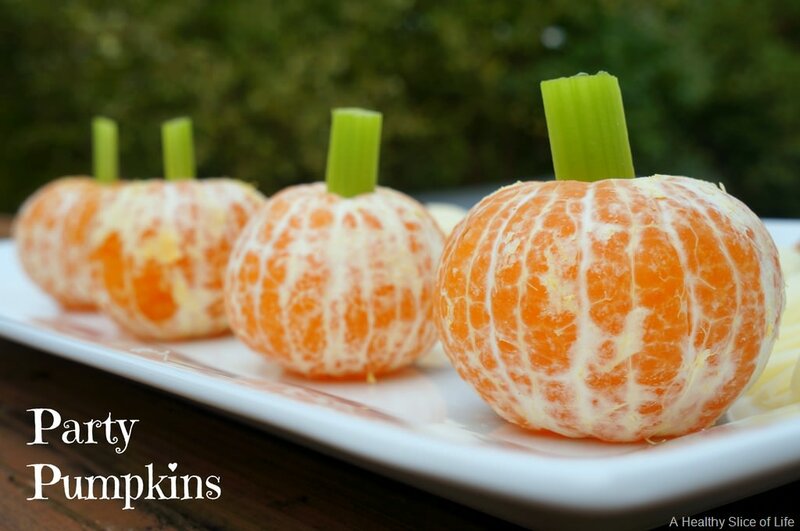 If you’re having a creepy party for older kids, these will be a hit. You’ll need a special pan to mold the cookie dough, but it’s worth it for the effect. Cookies are an important dessert to have at any fall party for guests who don’t feel like eating a lot of dessert. They’re also super simple to make, so invite your kids along to give you a hand – they’ll love being a part of the festivities. The icing in these takes a few hours to dry, so prepare ahead of time. There’s nothing better than the smell of cake baking to warm up your home. 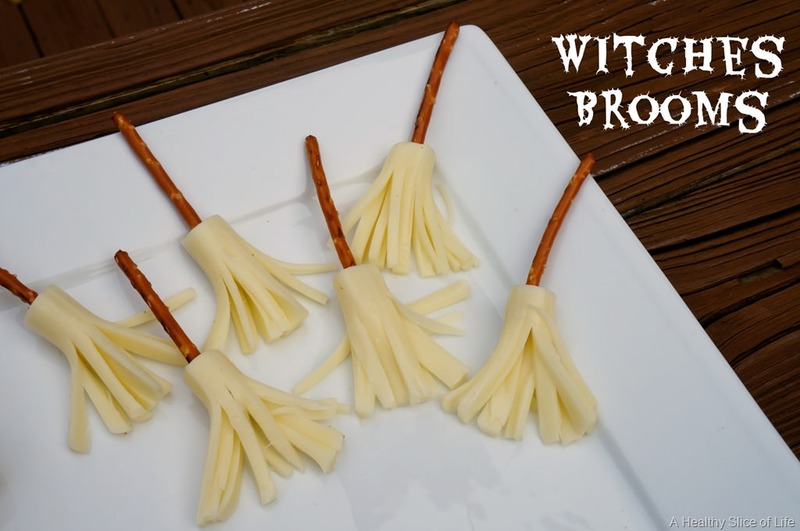 It’s also a staple of any fall of Halloween get-together. This cake is stuffed with buttercream icing. Fondant is used to make the leaves on top, but it can be a pain to work with so I skip that part myself. While new parents often find themselves deprived of sleep, they should do everything they can to make sure their new children aren’t. It’s important for parents to understand healthy child sleep habits. Many common beliefs you’ll hear as you investigate baby sleep are actually myths worth busting. Here are some of the common misconceptions about baby sleep. 1. Myth: Adding cereal to baby’s bottle will help him stay asleep. This is an odd misconception that as a certified child sleep consultant I hear only once in a while. Putting baby cereal in your baby’s bottle won’t help him sleep through the night. In fact, the American Academy of Pediatrics recommends you never put anything in a bottle other than formula or breast milk. 2. Myth: Put your baby on a sleep schedule right away. Babies aren’t born with a natural sleep rhythm like you and I. A newborn is going to have an erratic schedule and it’s far easier if we learn to adapt to it, rather than trying to force the infant. For the first few weeks (even the first couple months), your baby is going to sleep whenever he wants. Once he begins to sleep for longer stretches is it worth the trouble to influence his schedule. 3. Myth: Good sleepers sleep through the night. Babies follow the same REM sleep pattern as we do, but the cycle is only about sixty minutes (to our ninety). They rise into light sleep and awake occasionally like anyone else. The difference is that the best sleepers have learned how to calm themselves and fall back asleep (this is called self-soothing). 4. Myth: A baby making noise at night needs mom right away. Listen closely to the noises your baby makes at night before you rush into the room. They’re usually the same gurgles and spurts he makes during the day. If you leave your baby alone after waking, he’ll learn to put himself back to sleep. Learn to distinguish between the normal sounds and the “Help!” sounds. If your baby is clean, dry, and recently fed, it’s safe to leave him in the crib. 5. Myth: Snoring is cute and harmless. While fifteen to twenty-five percent of all babies snore, it could be the sign of a serious medical condition. There’s a small possibility snoring can signal sleep apnea or another breathing obstruction. Disrupted sleep (and the loss of it) could lead to developmental problems. If the snoring is frequent, consult your doctor. 6. Myth: A baby should be sleeping through the night after three months. All children are different, so it’s important not to impose rigid expectations on your child. If your child isn’t sleeping through the night by three months, nothing is wrong. Many babies only sleep five to six hours at a time at this age. They will eventually adjust to a proper adult-like schedule. Lori is a Certified Child Sleep Consultant through and Certified Happiest Baby Educator. She is the founder and owner of Strong Little Sleepers, which was started on the idea that all families need and deserve to get a good night’s sleep. Lori was the first certified child sleep consultant in Austin, Texas and was honored as Best Sleep Expert in the 2013 Austin Birth Awards. She is also a member of the International Association of Child Sleep Consultants. Lori combines her experience as an educator and a parent to offer customized sleep plans and support to families with children ages 0-6 across the country. For more information, please visit www.stronglittlesleepers.com.